Deliveries placed on or after 20 December will not be delivered in time for Christmas. Memberships purchased during this time will still be valid immediately. You can buy tickets at member discount prices as soon as you have bought or renewed your membership. The Hull Independent Cinema membership scheme is really simple, and during our Black Friday sale better value than ever! You pay £15 and in return get a membership pack to welcome you on board, which includes a free film and popcorn for those nights when you need a film fix but there’s no HIC film on! Your card then entitles you to £1 off the standard ticket price for all film screenings that are part of the regular HIC programme, and discounts on tickets and passes to Hull Film Festival, Dead of Night: Hull Horror Film Festival and other events. As well as ticket discounts, we’re hoping to introduce other benefits of membership in the near future, such as special member offers and partner discounts and offers from local businesses. These will be announced as we arrange them. Membership gives you a card that’s valid for a year, and can easily pay for itself within a few months. You don’t even need to wait for your card to arrive; just buy membership and you can start buying discount tickets immediately. As well as being a great deal for you, becoming a member means you are supporting our work bringing films to Hull that you can’t see anywhere else in the city. We’re a registered charity run entirely by volunteers – the more members we have the more sustainable we’ll be and the more we can plan for the future. Membership also entitles you to a vote at our Annual General Meeting, getting you more involved in how we operate. So what are you waiting for? Click the button below to join and start saving today! Online payment can only be taken by PayPal at the moment, but you can check out as a guest so don’t worry if you don’t have a PayPal account. Membership cards are non-transferable, non-refundable and must only be used by the person named on the card. 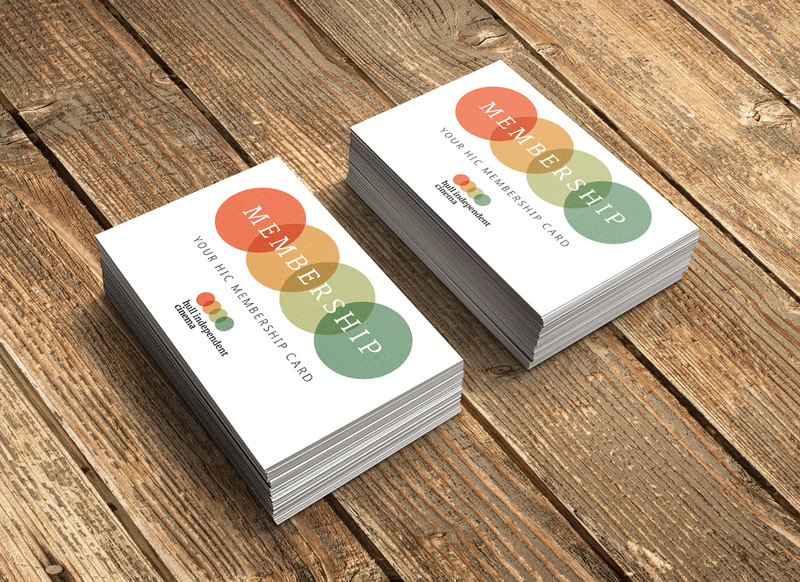 Membership cards MUST be presented along with your ticket on the door when you come to a film. If you do not have your membership card we reserve the right to charge the standard ticket price, or the difference if you booked in advance. Membership discount does not apply to our Student / under-25s rate tickets. Only one discount ticket may be purchased for each eligible film per membership. Members who purchase tickets on behalf of non-members may only claim the member discount on their own ticket. You may of course claim the discount on any tickets you purchase for other members, but those members must also show their own membership card along with their ticket at the door. HIC membership cards are only valid for discount to regular HIC monthly screenings and other events as advertised from time to time. They confer no discount or additional benefits with regard to our friends WeWatchFilms. Hi Mireille, thanks for your comment. If you have a look at the article above you should find a link to our online store (hicp.bigcartel.com) where you can purchase an annual membership online. You can also pay for membership in cash at most of our Hull Independent Cinema screenings – just ask one of the team. Alternatively, if you would prefer to pay by monthly standing order let us know and we’ll send you the information you need. Unfortunately we cannot sell membership through Artlink as they do not have access to our membership records. Hello, I wish to buy someone membership as part of a Christmas present but I don’t want to put my email address as it then would be linked to my friend. I know his works email address for him but I wouldn’t presume that would be ok. (and I don’t want to ask because it’s a gift and he doesn’t know) Is there a way I could pay for one as a gift without me putting in an email address? or add a comment in the appropriate box when making your payment to let us know that it’s a gift purchase. We’ll be in touch to make sure we have the right details for our records and ensure the membership is placed under the correct name. Thanks! Sorry you missed out this time, but don’t worry, we’re currently working with Yorkshire Film Archive to run more screenings later in the year. As we find out more we’ll let everyone know.